Shahrukh khan house Mannat facts – 08 Interesting unknown facts about SRK’s Mannat i bet you didnt know! Shahrukh khan house Mannat facts: Shahrukh Khan’s 6 storey high, sea facing marvel located at Bandstand in Bandra West is a heritage building and a tourist spot. Such is the fan following of Bollywood’s Baadshah that several hundred people visit the house everyday hoping to get a glimpse of their favorite Bollywood star. SRK’s home sweet home comes with lavishly decorated indoors and beautiful gardens on the front side. Originally called Villa Vienna, when Shahrukh Khan bought this 2,446 sq. metre (26, 328.52 sq. ft.) sea facing property in 2001 on a lease, he paid ₹13.32 crore and renamed it Mannat. Since then, the star has been paying a minimal rent of ₹2,325 a year, but when the Maharashtra government revised the land lease rates in Mumbai and its suburbs, the increased lease rent of ₹19 lakh a year, or a onetime occupancy fee of ₹8.3 crore (one-fifth of the plot’s Ready Reckoner value) for outright ownership of the same, was implemented. 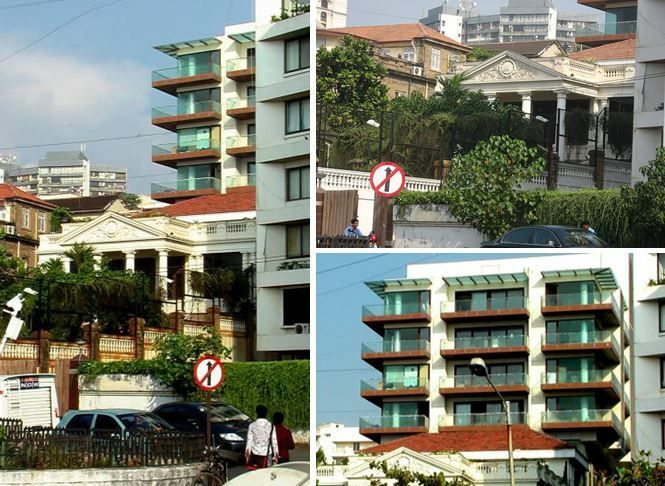 Mannat is now valued at Rs200 crores. What else do you expect a kings home to cost? Even having a palatial Juhu bungalow, SRK wanted to make an exclusive prayer room. As per king khan- ‘Even if he was broke one day, he would sell everything but not Mannat’. Now thats exactly how a king thinks. Average size of a house in rural area is 494 sq.ft, which means 103 sq.ft per person. For urban area, it is 504 sq. ft., which is 117 sq. ft. per person. If we calculate, approximately such 225 people can stay in Mannat Alone! Wohoo isn’t it? The Grand III Heritage structure took four years to style. 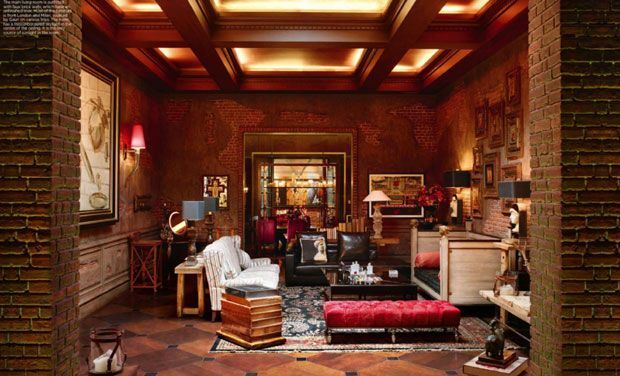 Doesn’t it makes you more curious to admire the efforts of Gauri and SRK design of the House Mannat? Gauri being an epitome of fashion loves Tom Dixon Products. SO much she loves that she displayed the brand’s shoe at the coffee table in her Mannat House. Even though ambanis home is the most expensive house in mumbai, Srks mannat is the most fantasized and a topic of craze amongst mumbaikar’s. N number of mumbaikar’s visit mannat daily just to have a glimpse of srk. The multi-storeyed house, connected by a system of elevators, has two living rooms, adorned with paintings by M.F Hussain, antiques and other art objects. Two of these floors contain the family’s living area. The house has an entire floor which serves as a playroom for his kids, a library, a private bar and an entertainment centre.